Our volunteer crew did a great job installing the flooring this month! 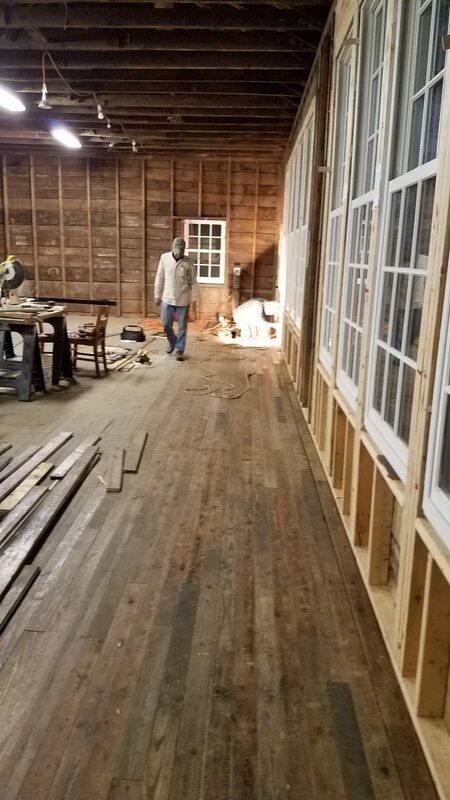 The flooring is now down on the long window wall. Our next step is to prep the remainder of the flooring for installation and beef up the sub-floor on the chimney wall. Help is needed to brush and scrape dirt out of the wood flooring grooves, and trim off any bad wood. If you can come and help brush and scrape the flooring, please let Dan Slagle know, email drslagle1@gmail.com or call 828-686-3668. BIG thanks to all of our hardworking volunteers!